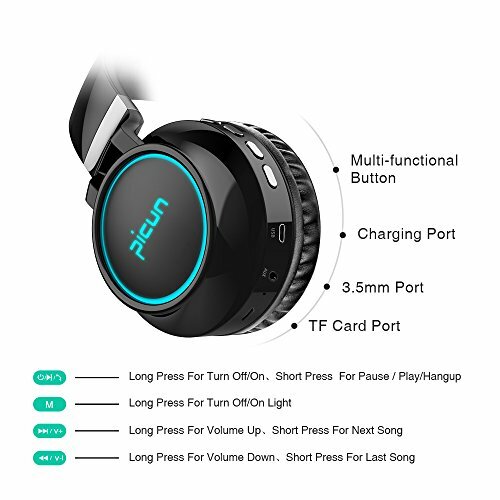 Nhà cung cấp: LeTaoLi - giá Amazon: 19.31$ - shipping rates and return policy. 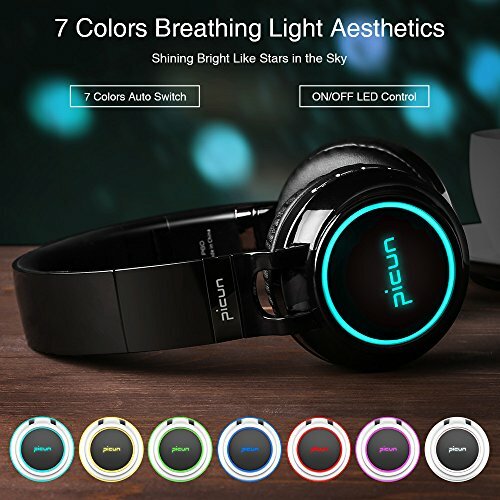 7 BREATHING LED LIGHTS EFFECTS : These LED Wireless Bluetooth Headphones installed with 7 kinds of Colorful Breathing Lights flashed at both side of the soft muff ear-pads, super cool lights changes automatically will shock your soul .Easy control button of LED blinking effect reserve more battery for longer using time. 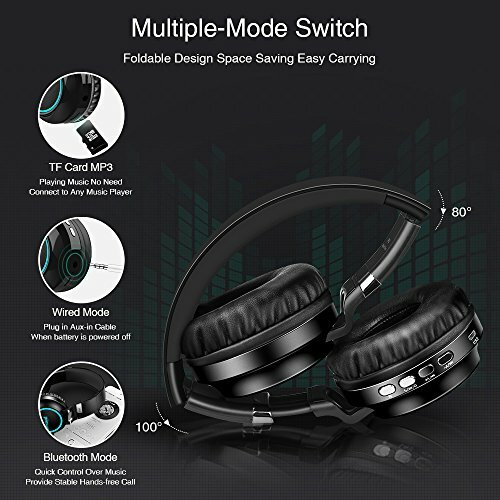 4 IN 1 MULTIFUNCTIONAL USAGE : 20 hrs playtime bluetooth headphones ,TF card Music Player , wired headsets to connect with PC/Tablet and Fashion Accessories.Built-in Microphone for stable hands-free calls,quick volume control over music via Hifi Stereo Portable Wireless Headphones.Taking off the headphone every 2-3 hrs to get your ears relax. 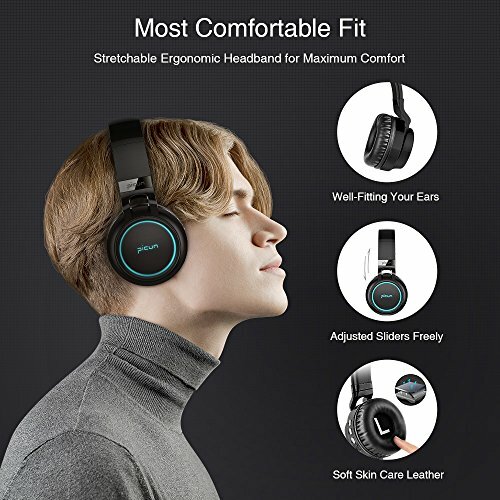 COMFORTABLE FIT FOLDABLE DESIGN :Bluetooth headsets with foldable design for easier carry and storage,stretchable ergonomic headband can be adjusted freely while the durable sliders can be extended to fit your head for Maximum Comfort, Memory Protein Pads and sponge filler are made of soft material keep you comfortortable for long time wearing. 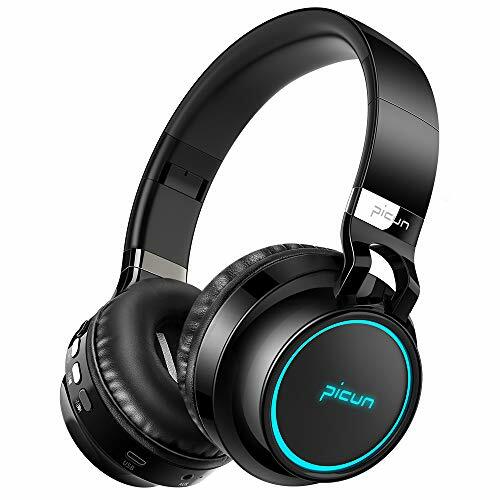 SUPER BASS STEREO SOUND QUALITY : High-quality 40 MM large-aperture Drivers and Bluetooth 4.1 version technology delivers exceptional sound reproduction and wide dynamic range to provide crystal clear sound, powerful bass with well balanced mid-tones and trebles for seamless syncing to your favorite devices. 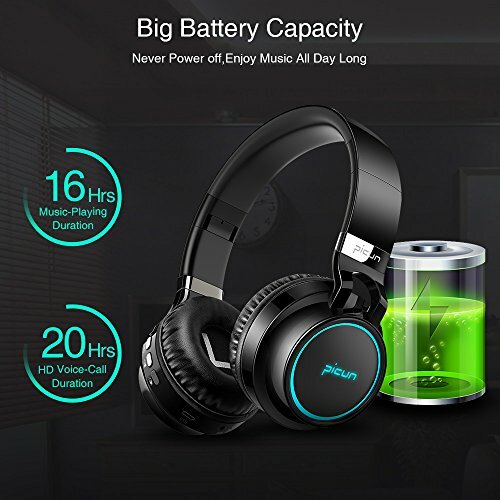 COMPATIBILITY AND FRIENDLY SUPPORT SERVICE: Bluetooth Wireless Headphones with Microphone compatible with most Android IOS devices,provide impressive Hi-fi stereo sound and hands free communication.If anything is not to your full satisfaction, simply reach out to us and we will make it right.24-hour Customer-friendly Support Service Guaranteed!